Social media video content has now gone from “nice-to-have” to “must-have”, which is why it’s important your business is sharing industry-relevant video content with your audience. BlazingSocial offers a library of insurance videos. Schedule a time for the video posts to publish and we’ll take care of the rest. With BlazingSocial, sharing social video has never been easier. 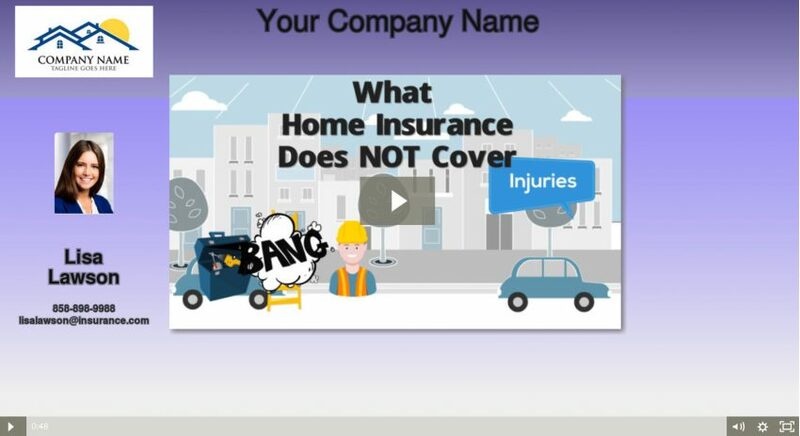 BlazingSocial for insurance contains over 30 insurance videos branded with your contact information. When customers share your videos on social media, your brand goes with the shared video. You can add customized call to action links for lead generation, such as apply now, download my app, contact me, etc. The possibilities are endless. BlazingSocial adds new videos monthly on many topics to keep your clients informed. You never run out of interesting content with BlazingSocial. How To Improve Your Credit Score Credit Scores Do’s and Don’ts Credit History & The FHA Do I Need Homeowners Insurance? When Should You Make Home Insurance Claims? Fast Facts On Flood Insurance Lead in Homes Powerlines: Health Hazard?